The ALA keeps track of the most frequently banned and challenged books, which ranges from children’s books such as Harry Potter, to books with more serious themes such as The Handmaid’s Tale. One of the most challenged books since its publication is Harper Lee’s To Kill a Mockingbird, and it appears as #7 on the list of Top Ten Most Challenged Books for 2017. A copy of Lee’s famous novel is sent to each admitted C|M|Law student for its iconic portrayal of a lawyer fighting for truth. Other banned books featuring lawyers are John Grisham’s A Time to Kill, and Truman Capote’s In Cold Blood. Are you stressed at law school? Are you an adult between 18 and 29? 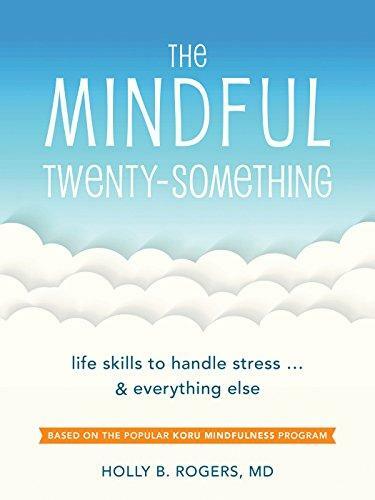 Then The Mindful Twenty-Something may be a book for you. It’s based on the popular Koru Mindfulness program developed at Duke University and used on university campuses and counseling centers around the country. It’s one of the only evidence-based mindfulness programs developed especially for emerging adults. 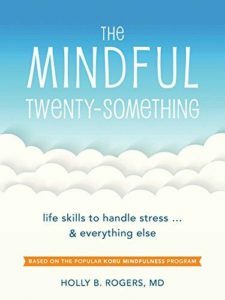 The book offers you an approach to tackling stress, gaining a healthier life perspective, and facing life’s challenges with calmness and balance – all stuff that’s really useful when law school stress gets you down! You can find the book in our Mental Health & Wellness Collection, located in the Ohio Room as you walk in. All of the books from this collection can be checked out at the circulation desk. You can explore the collection online through our Mental Health & Well-Being research guide. The statement ‘different search engines and databases produce different results’ may elicit various responses from people. Some may think that the statement is obviously true, some may believe search engines are all basically the same, and some may believe that you get what you pay for. For law students who have routinely relied on Google searching, this article may be especially important. Habits learned in undergraduate coursework may not translate well to law school research. Google and the big-box searches on Westlaw and Lexis are run by algorithms, not by the user. While the algorithms use what the researcher inputs, how they come up with the results is not necessarily clear. Furthermore, the algorithms being proprietary to each database will be different depending on which database the researcher is using. Every database has a point of view. The variability in search results requires researchers to go beyond keyword searching. Keyword searching is just one way to enter a research universe. Redundancy in searching is still of paramount importance. Term and connector searching is still a necessary research skill. 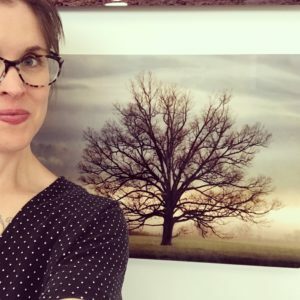 This contest is being held in conjunction with the art show “Celebrating Cities” by Jennie Jones and Judy Rawson, currently available throughout the law school and law library. All current law students (including MLS and LLM students) are eligible to enter, now through October 10. The winner will be announced on October 11 at the Side Bar sponsored by the Law Library and The Journal of Law and Health held in the Rawson Learning Commons from 4:00-6:00 pm. Take a selfie (or have someone take a picture of you) with your favorite piece of art in the College of Law. Post the selfie with the hashtag #CelebratingCMLawLibrary on the library’s Facebook (@CMLawLibrary) or Twitter (@CMLawLibrary) page from your Twitter or Facebook account. Make sure to include your full name if not evident from your Facebook or Twitter handle. The Law Library may post or share selfies in the library or on the library’s social media accounts. One randomly drawn winner from entries will receive a $50 Amazon gift card. Contact Brian Cassidy, Student Services Librarian, with questions at b.e.cassidy@csuohio.edu or 216-523-7364. 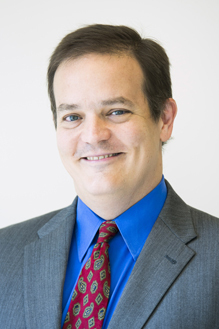 Chris Sagers, the James A. Thomas Professor of Law, published a long essay on the online forum of the Harvard Law & Policy Review, surveying the opinions of Judge Brett Kavanaugh in antitrust and related areas. He argues that those opinions display an inconsistent approach to interpreting precedent, and suggests that they do not speak well of his more general approach to judging.